1. What is the name of the coffee shop? 2. 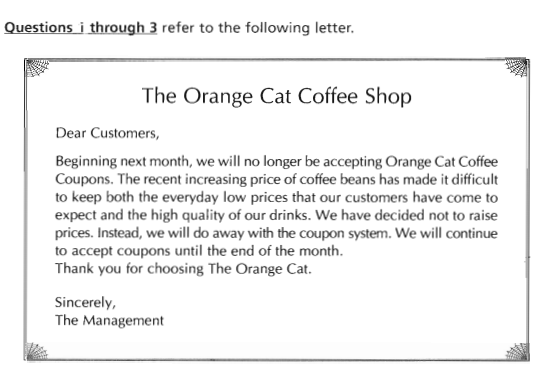 What does the coffee shop plan to stop using? 3. Coupons will continue to be accepted until when? 4. According to this notice, smoking is not allowed in which of the following? 5. What is the allowed length of time for smoke breaks? D. It is not stated in the notice. 6. 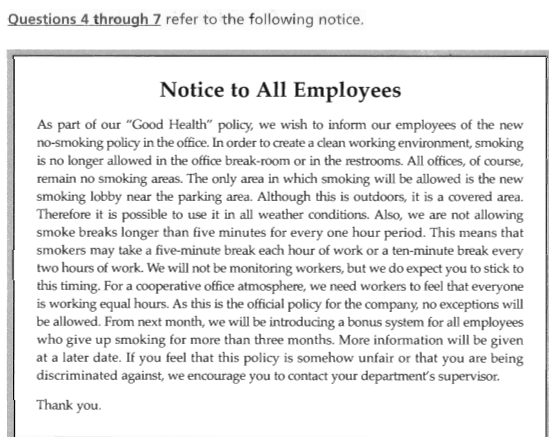 If workers feel that the smoking policy is unfair, whom should they contact? 7. What will happen next month? A. All smokers will be monitored. B. Bonuses will be given to people who stop smoking. C. People will be discriminated against. D. Department supervisors will contact all workers. 8. According to the article, what does punctuality mean? 9. 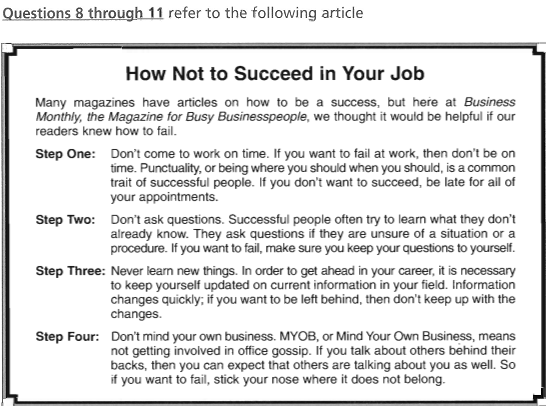 According to this article, what is true about successful people? A. They are late, don’t ask questions, and never learn new things. B. They are late, don’t ask questions, and try to learn new things. C.They are late, ask questions, and try to learn new things. D. They aren’t late, ask questions, and try to learn new things. 10. What does MYOB mean? 11. What are the steps of failure? 12. Which type of category is the theft related to? 13. 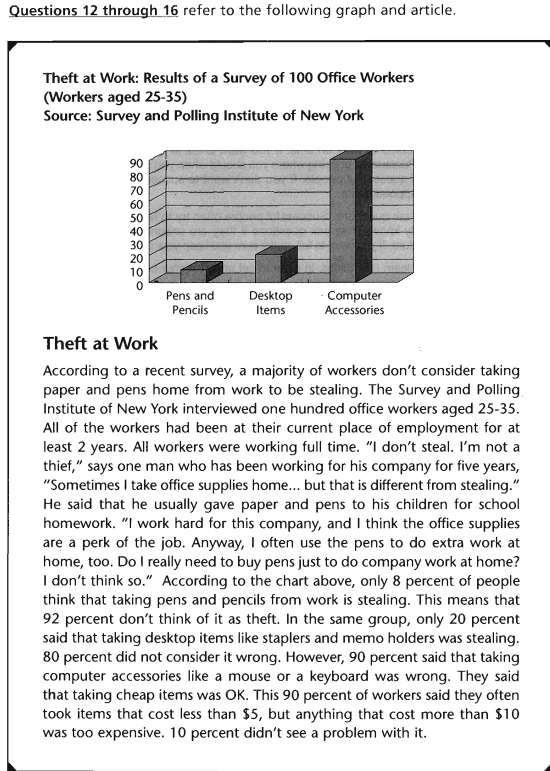 According to the information above, taking which item would most likely be considered theft? 14. According to the chart, which items are employees likely to take home from work most often? 15. How many people took part in the survey? 16. How expensive were the items most workers took home?